This contemporary chair from CorLiving celebrates style and comfort in a modern design. This finely upholstered chair delivers reliability through the durably crafted wood frame. Generous foam and fibre batting cushion provides the ultimate in comfort. The contemporary metal legs gives the chair grounded stability and the padded, slightly angled backrest makes it a treat to lean back and relax in style. The removable backrest allows this chair to be more easily moved through door frames. Style your home with this inviting chair from the CorLiving Collection. Sink effortlessly into comfort with the LAD-755-C tub chair with its gentle curved back and sloping arms. Wood frame construction gives a sturdy foundation of support while the durable and stylish red bonded leather upholstery is complimented with paneled detailing. Revive your living space with this versatile chair, offering great value and a timeless look that makes the most of your home setting. This contemporary chair from CorLiving celebrates style and comfort in a modern design. This finely upholstered chair delivers reliability through the durably crafted wood frame. Generous foam and fibre batting cushion provides the ultimate in comfort. The four sturdy legs give the sofa grounded stability and the padded, slightly angled backrest makes it a treat to lean back and relax in style. The removable backrest allows this sofa to be more easily moved through door frames. 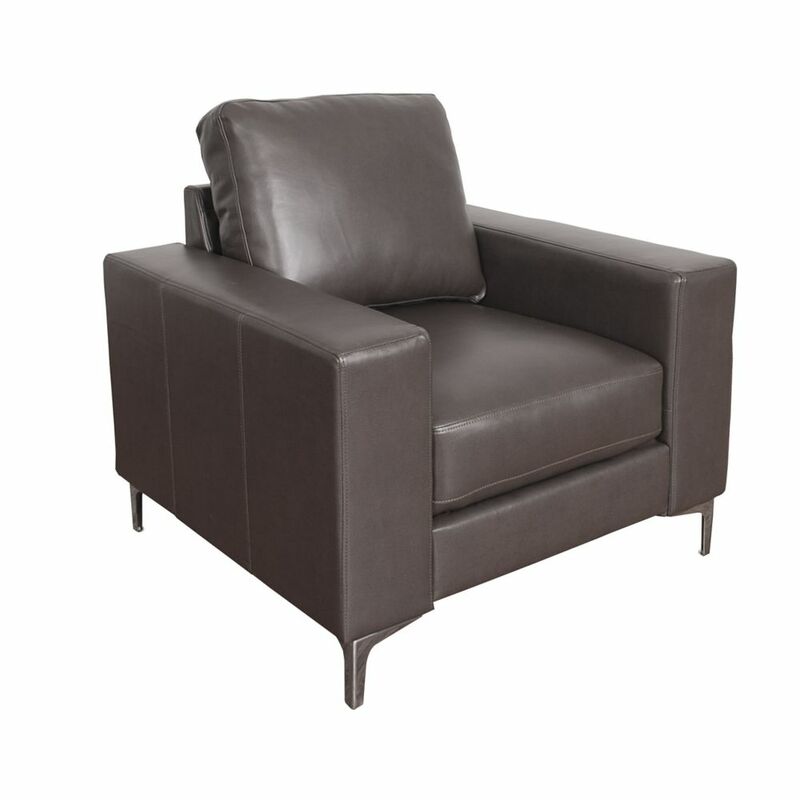 Cory Contemporary Brownish-Grey Bonded Leather Chair This contemporary chair from CorLiving celebrates style and comfort in a modern design. This finely upholstered chair delivers reliability through the durably crafted wood frame. Generous foam and fibre batting cushion provides the ultimate in comfort. The contemporary metal legs gives the chair grounded stability and the padded, slightly angled backrest makes it a treat to lean back and relax in style. The removable backrest allows this chair to be more easily moved through door frames.